Added on March 8, 2019 by jodi lightner. Come see select works – created in collaboration with Amber Stene – in Landscapes of the Imagination @ Lakewood Center for the Arts Upper Hallway Gallery. This exhibit features scenes from the imagination, and the improbable. Be sure to also see the Open Show @ Lakewood Center Pavilion Tent. Then cross the street to Art in the Park @ George Rogers Park for food, music, and over 100 artist booths. See web for easy shuttle parking. To learn more about how we collaborated, scroll down to read the post: The Collaboration Process. Added on May 31, 2017 by jodi lightner. Added on June 25, 2016 by jodi lightner. The Ucross Foundation Residency was an excellent way to dive into new work this summer. Below are small studio studies exploring the theme of unconscious structures that I have been working on recently. Added on February 8, 2016 by jodi lightner. Selections from Reinventing Self were chosen for UMKC's exhibition which discusses the connections between body and mind. It's unique approach to examining identity is curated by the UMKC Graduate Art History Association. Artist collaborator Amber Stene and myself worked on YUPO paper for our series titled Reinventing Self. Legion paper has chosen two of our works to feature in their catalog, showcasing the effects achieved on the surface. Added on August 26, 2015 by jodi lightner. My newest body of work will be exhibited in the Gallery of Visual Arts on the University of Missoula Campus this October. 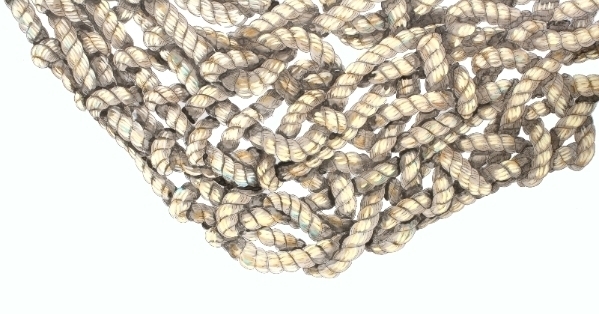 I'm showing just a sneak peak of the new work ! 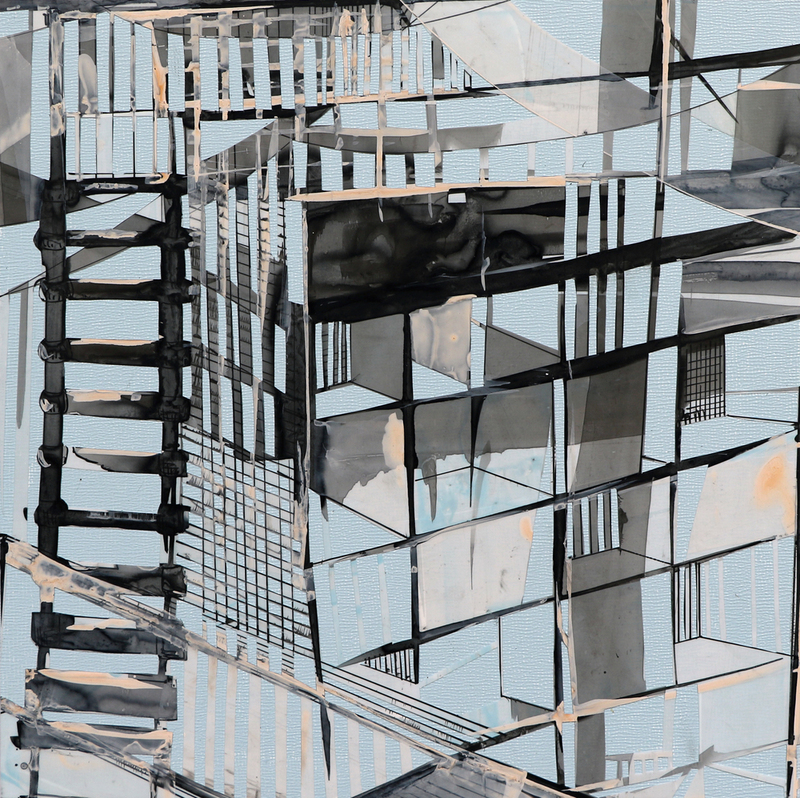 Thin City (Detail), 2015, Acrylic and Ink on Cut Mylar, 44" x 33"
Thin City (Detail), 2015 Acrylic and Ink on Cut Mylar, 44"x 33"
Added on November 4, 2014 by jodi lightner. Added on September 29, 2014 by jodi lightner. Gathered Coherence was featured on the local Billings News. Read the article and watch the feature here. 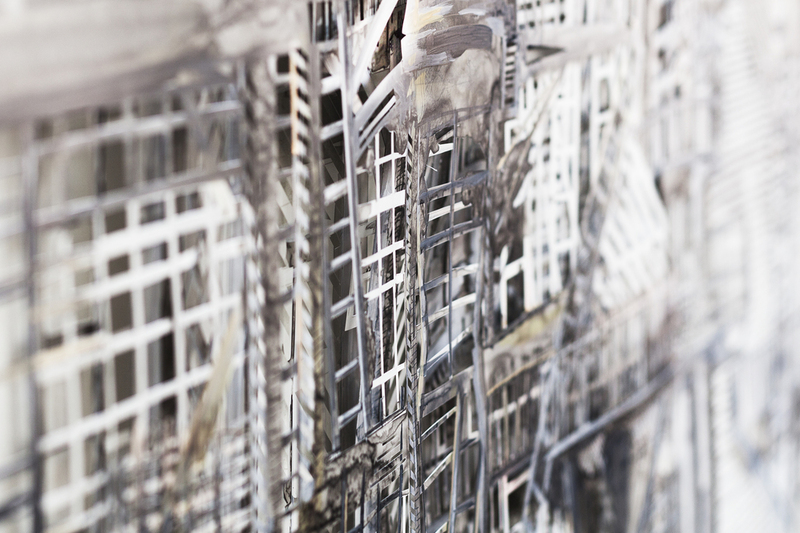 featuring Jodi Lightner's "Gathered Coherence"
MSU Billings Department of Art’s Annual Faculty Exhibition opens on August 28 and remains on view through September 25 at the Northcutt Steele Gallery. An artist reception will be held at the gallery on September 4 from 5-7pm. 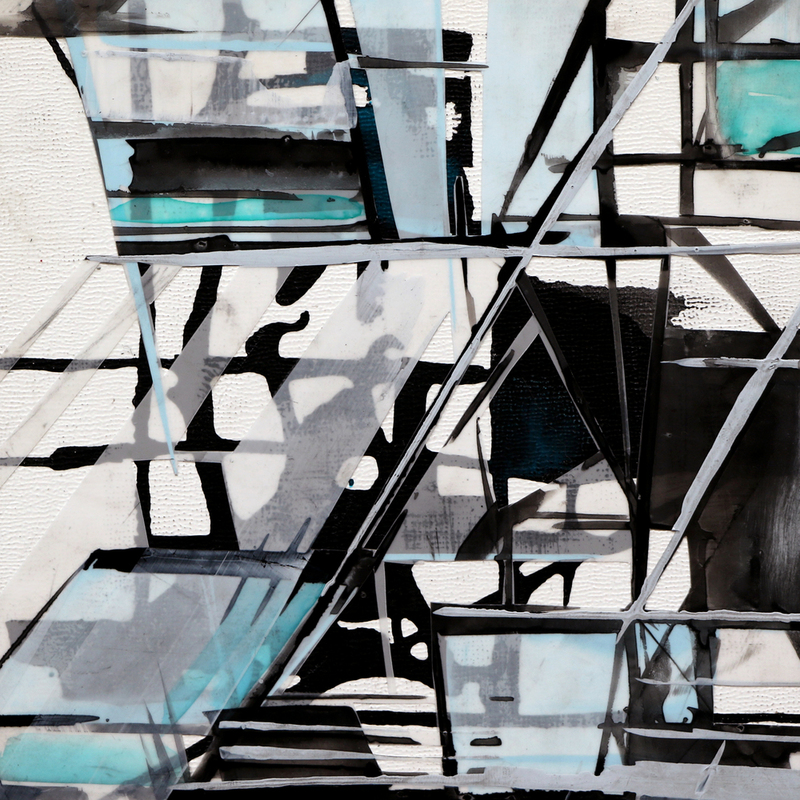 This group exhibition presents the diverse talents of faculty working across a broad range of media and features a series of works entitled "Gathered Coherence" by recently hired painting and drawing faculty, Jodi Lightner. Participating artists include: Mark Earnhart, Jill Foote-Hutton, Neil Jussila, David Knobel, Sarah Knobel, Connie Landis, Randi O’Brien, and Markus Urbanik. 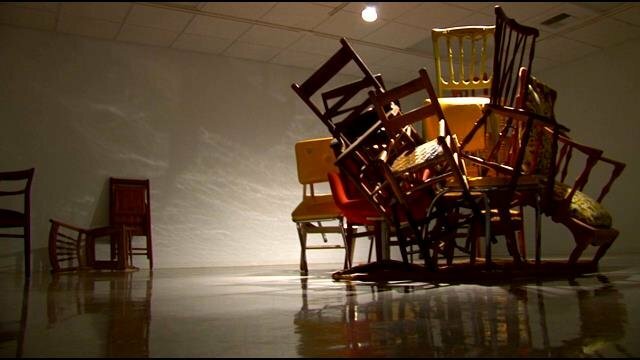 Lightner’s “Gathered Coherence” explores the emotional valences of familiar forms, such as ropes and chairs, which often mirror human interactions and the ways we gather, connect, and swirl around each. Consisting of a series of scrolled works on Mylar (a translucent film with a matte finish), a sound installation, paintings, and assemblage, the installation offers viewers a space to contemplate the endurance and fragility of the bonds that have held--and continue to hold--us together. Assistant Professor Jodi Lightner joined the MSUB faculty in 2012. She received her MFA from Wichita State University in 2010 and has exhibited at national and international venues. Her work is represented by Kim Weinberger Fine Art in Kansas City and is held by corporate collections, including Empire Bank. A gallery talk by Lightner and catered reception for all participating artists will be held on Thursday, September 4 beginning at 5pm. The talk, reception, and exhibition are all free and open to the public. 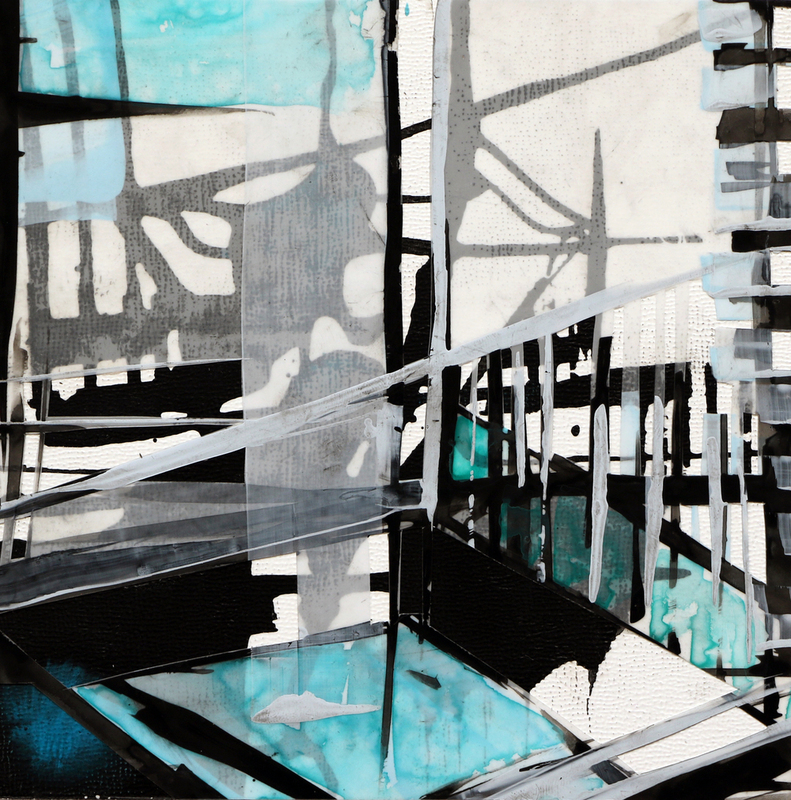 Acrylic and Ink on Mylar, dimensions variable, 2014.